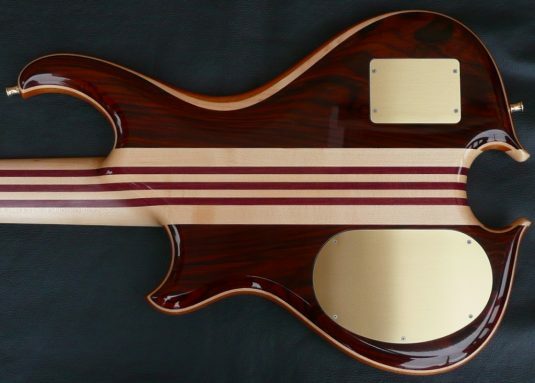 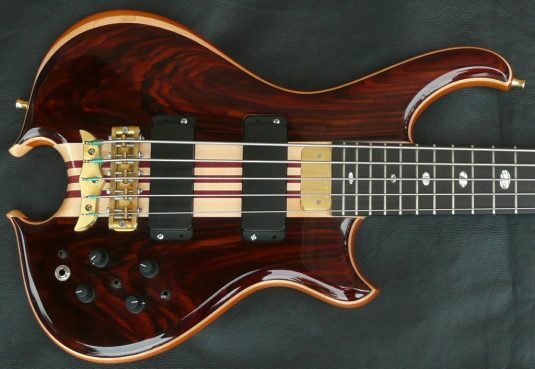 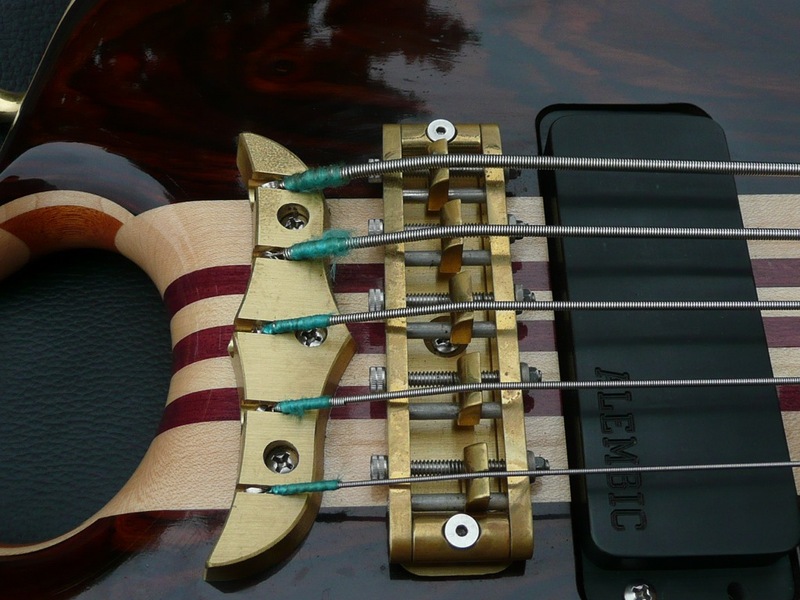 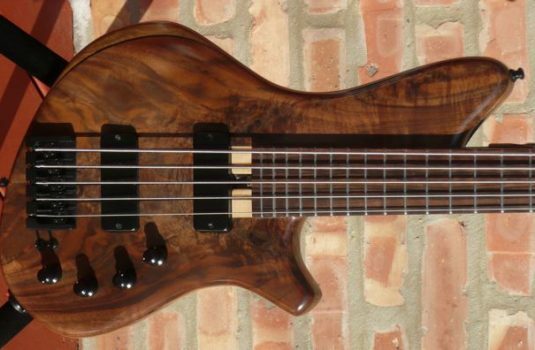 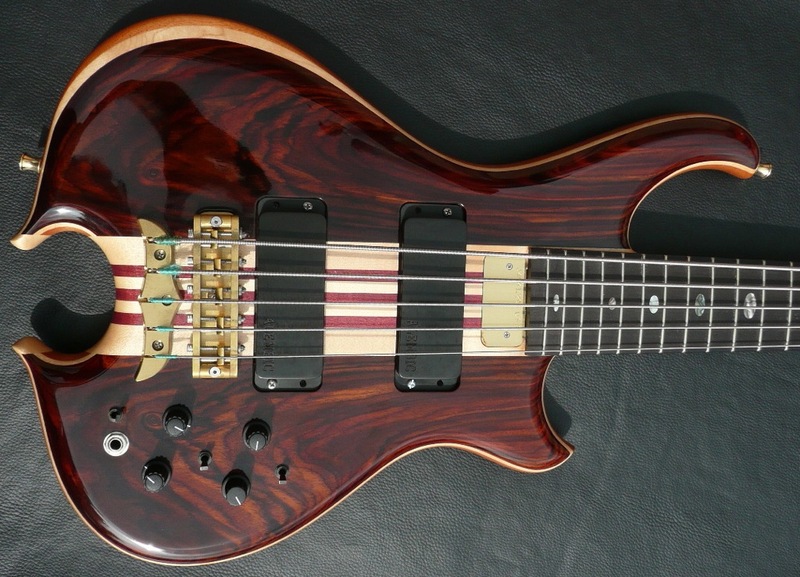 This recent arrival typifies the extreme build quality and fine materials that the Wickershams have demonstrated and developed over 4 decades in the world of custom bass – are they not the original custom shop ? This bass is the new and improved ( IMHO ) Mark King bass, with the elongated bass side horn that provides great balance on a strap or lap compared to the symmetrically shaped version. 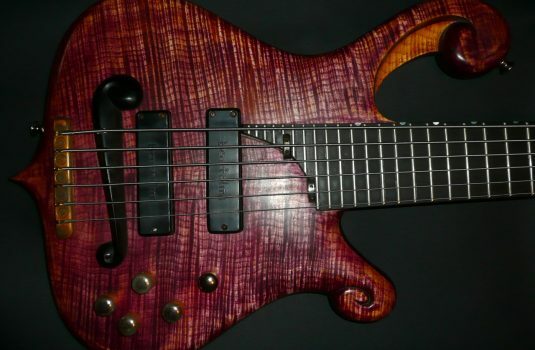 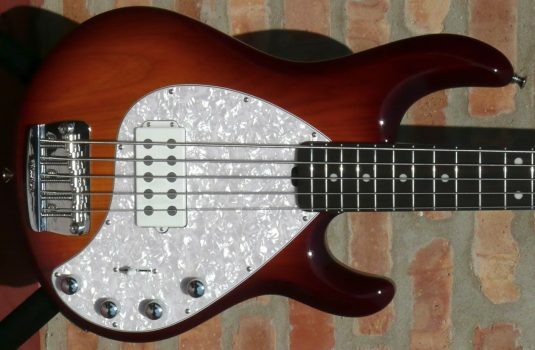 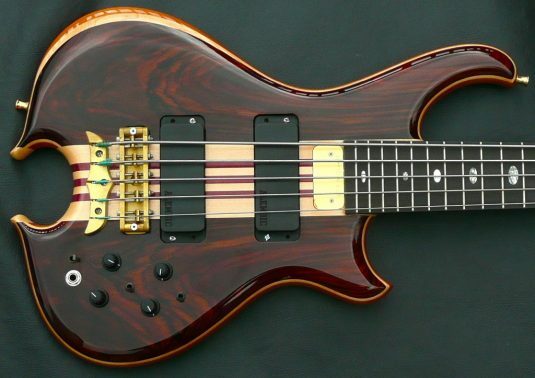 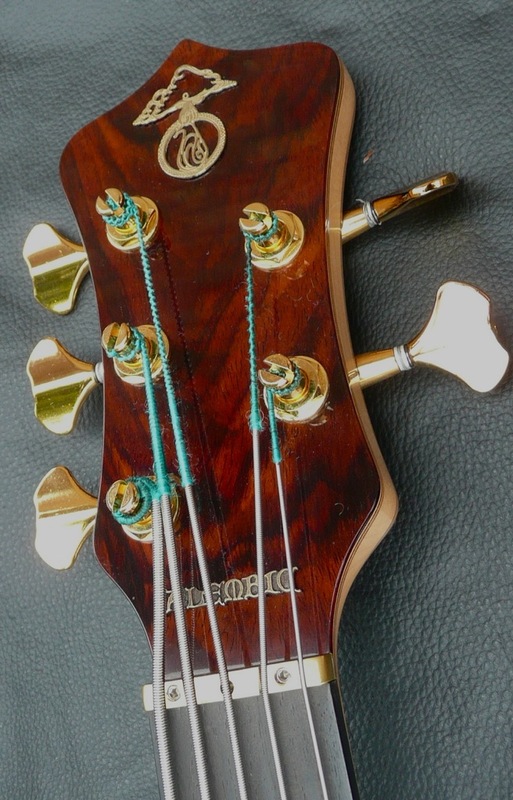 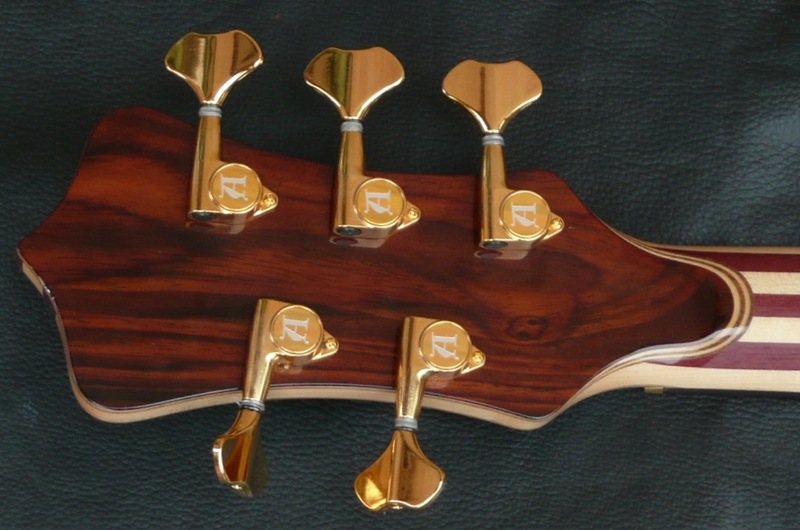 This bass was made in 2004 but it looks like new. 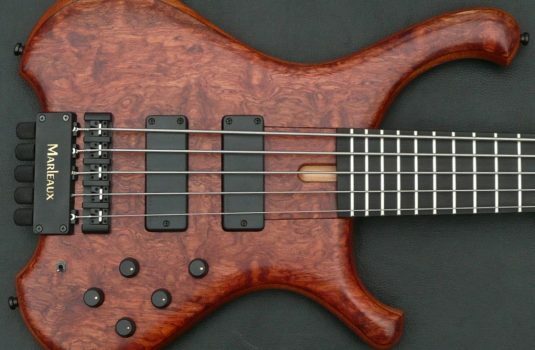 A new build today would be about $13K. 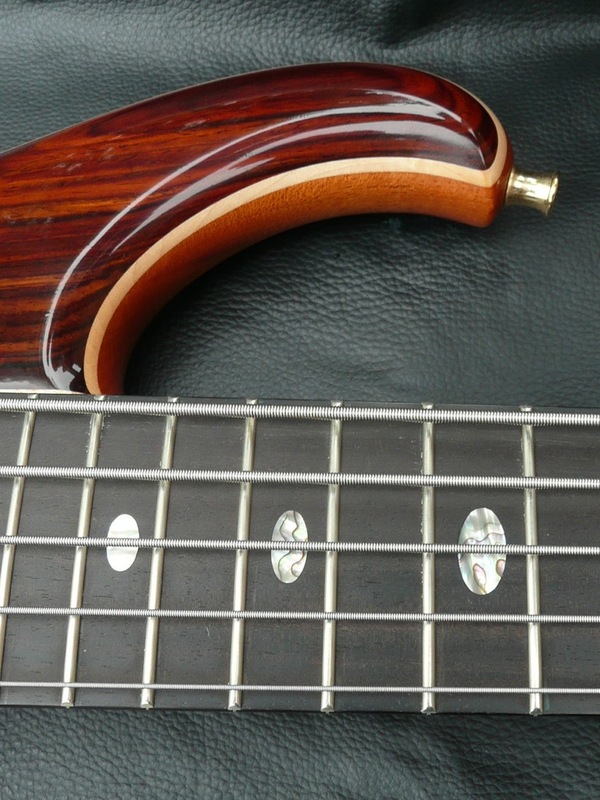 Save a bundle and own this like new bass NOW.